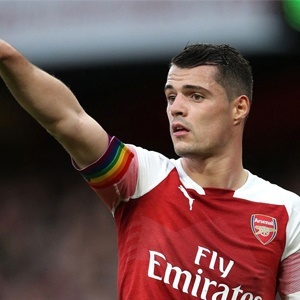 Cape Town - Arsenal have concerns over the fitness of Granit Xhaka after the midfielder picked up an abductor muscle problem on international duty. The Switzerland international scored a stunning goal in the 3-3 draw with Denmark on Tuesday but was then forced to limp out of the action after sustaining the injury later in the game. The Gunners medical staff will be keen to discover the full extent of the damage as soon as possible, but whatever the outcome, Xhaka is a major doubt for Monday's home clash with Newcastle. The 26-year-old has been a huge influence in the Gunners midfield this season and his absence for any length of time would be a blow to boss Unai Emery, as they push for a place in the top four of the Premier League. It has been suggested that Xhaka is facing three weeks on the sidelines as even a minor abductor problem needs rest and could turn into something more long term if rushed back too early. Emery will now be keeping his finger crossed for the rest of his international brigade ahead of the Magpies clash.